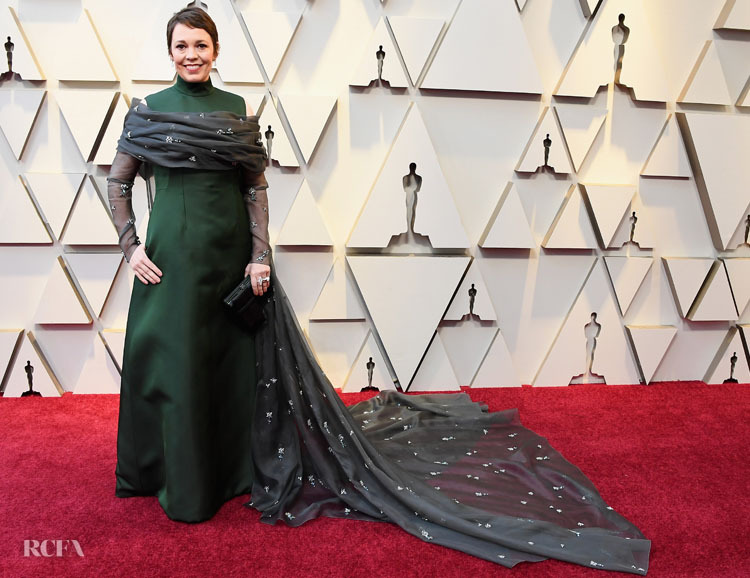 Lead Actress nominee Olivia Colman showed her fashion credentials at the 2019 Oscars on Sunday (February 24). ‘The Favourite’ actress often gravitates towards elegant simplicity and solid colours so this custom Prada look with Chopard jewels was a departure. But, this is the night to go big. I foresee some struggling with the warm gray draping against the satin forest green dress underneath. Methinks it might have gone down better had it been one shade or the other. That being said, it’s an intriguing juxtaposition that will not be forgotten.